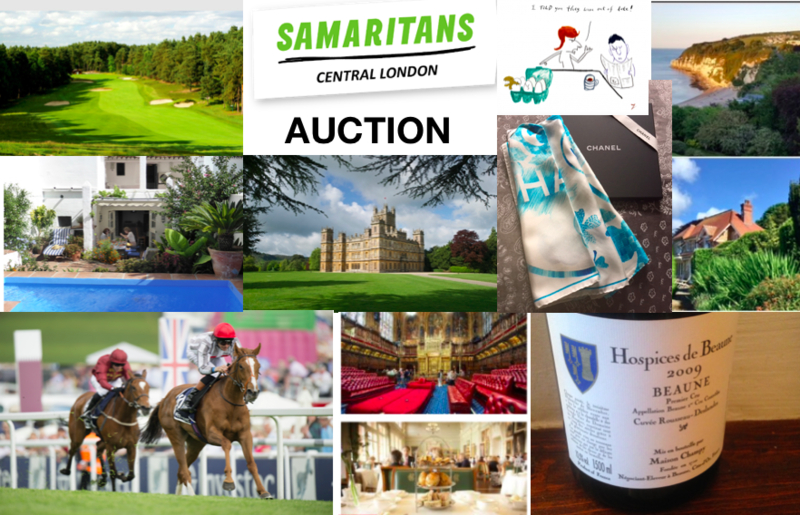 Central London Samaritans is holding its first fundraising Supper and Auction on Thursday 26th April. All funds raised will go towards keeping the Samaritans' phone lines and doors open all the year round for callers and visitors needing confidential emotional support. As part of the event we are holding Silent and a Live Auction. This is a terrific opportunity for you to participate in this year's fundraising even if you are not attending the event. Both Silent and Live Auction prizes can be viewed on this page, with over 30 lots to choose from. You can bid online on the Silent Auction lots on this page until 4 p.m. on Wednesday 25th April. The highest bids from the online auction, and any maximum bids placed, will then be carried through to the live silent auction at the Dinner on 26th April, and will be available at the venue only. So even if you are not able to attend the event, please do place a proxy (maximum) bid on this page. Your maximum bid will then be carried through to the live silent auction on the night and we will let you know after the event has ended whether you have been successful. For more detailed information on how to register and bid, please click on the 'Auction Guide' below. On this page you can also see the exclusive lots from the Live Auction taking place on the night. These all have the Live Auction banner and are at the bottom of the page. If you are interested in any of these lots but are unable to attend, please contact Alison Braganza on a.braganza@cls.org.uk to place a proxy bid in person. This online auction will be open for bidding until 12noon on Wednesday 25th April 2018. 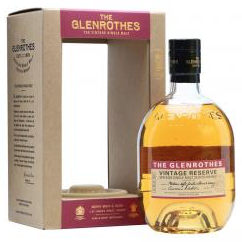 The leading bid on each auction lot at that time will be carried over to the auction at the event on the 26th April. If proxy bids are placed these will be carried over to the auction at the event. Winning bidders will be be contacted after the 26th April event. 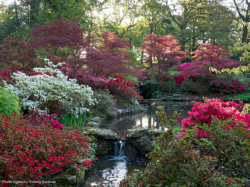 Two all day tickets to the Chelsea Flower Show on members’ day - Tuesday 22nd May. 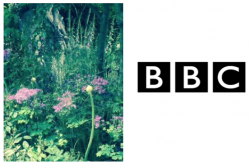 The invitation includes a guided tour of the BBC Outside Broadcasting Unit covering the show, an extensive, highly technical set up whose output all Chelsea lovers will have watched. 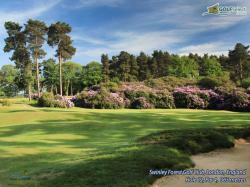 Swinley Forest Golf Club located near Ascot, Berkshire is one of the top 100 clubs in the world. One of the great Harry Colts classic courses west of London, Swinley Forest Golf Club is straightforward, classic heathland golf on a course immaculately conditioned, with greens firm and fast even in the wintertime. Painting by Adrian Hemming "After Ithaca"
“After Ithaca” featured in Adrian’s recent exhibition with Andrew Marr - “The Hemming Marr Show” - at Art Bermondsey. 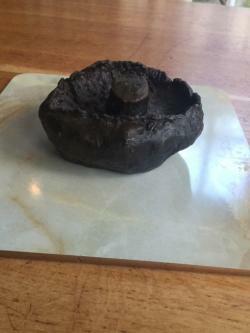 Adrian has twice been short-listed for the Artist in Residence at the National Gallery, London. He has lectured and exhibited widely in England, Scotland, America and South Africa. 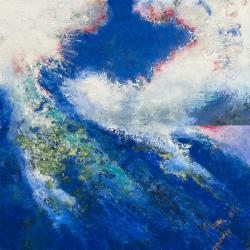 His work can be found in many private and public collections as well as being on public view in Terminal One, Heathrow Airport, as result of a major commission by BAA. A Guided London Walk for 8 people with an expert from Art History Abroad who will bring the history of the city to life. The tour can cover an aspect of the history of this great city, from its ancient Roman origins through to its resurgence after the Great Fire; we can focus on the beautiful city churches, or the fantastic modern skyscrapers that define the skyline today. You will be able to chose the itinerary that inspires you, with suggestions and ideas from Art History Abroad. As well as the fabric of the city itself, you will also have the option of London's finest galleries, taking your group through the history of art from Renaissance at the National Gallery, to contemporary art at Tate Modern. Whatever you choose, this will be an unforgettable experience and a way to get to grips with this richly complex capital. 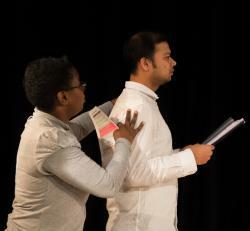 A One-to-One 90 minute bespoke training session with one of the highly skilled voice trainers at The Royal Central School of Speech and Drama, the internationally renowned specialist performance arts college of the University of London. The session will be tailored to your needs and can cover a variety of areas including presentation skills, vocal clarity, vocal power, bringing a story to life, increasing impact and making connection. It will take place at a mutually agreed time at the main campus in Swiss Cottage, London, NW3 3HY. Take a behind the scenes tour of Christie’s, the Fine Art Auction House in King Street with Jill Cerasi, Client Liaison. Walk around the warehouse and view an auction, followed by afternoon tea in a boardroom. 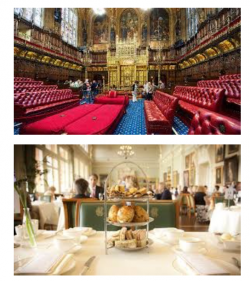 Baroness Rawlings is inviting a party of 4 for a guided tour and attending the Chamber, followed by tea. 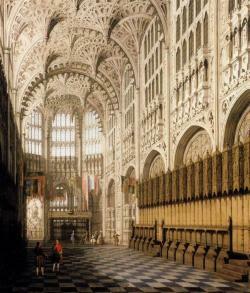 This tour to be taken on a Tuesday, Wednesday or Thursday when Parliament is sitting commencing at 3.30 pm. Parliament is sitting from 16 April - 24 May and then from 4 June until sometime towards the end of July. It would be helpful if the winner of this lot can give more than one date to choose from. 3 hour tour with an expert guide visiting the best food neighbourhoods in Rome, including one of the famous markets and the oldest bakery and discovering Rome’s iconic dishes. 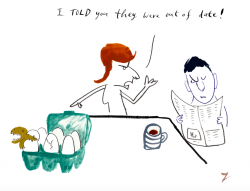 Dates 1st May 2018 – 30th April 2019, not Sundays. The winner will need to make their own travel and hotel accommodation. Opportunity to attend a lecture from AHA’s Dilettante Programme, for two people. This offer includes Lecture, Lunch and Gallery visit. The Day of the Jackal, The Odessa File, The Dogs of War, The Shepherd, The Devil's Alternative, No comebacks, The Fourth Protocol, The Negotiator, The Deceiver, The Fist of God, Icon, The Phantom of Manhattan, The Veteran, Avenger, The Afghan, The Cobra, The Kill List and The Outsider. 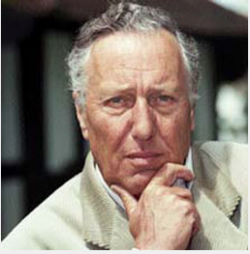 Frederick Forsyth CBE is the English author, former journalist and spy and occasional political commentator, best known for his many top selling thrillers. 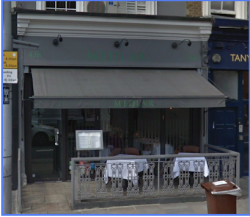 Medlar offer "modern French food with global influences, served in an understated dining room"
A magnum of Hospices de Beaune, Beaune Premier Cru Cuvee Rousseau-Deslandes 2009, tended and bottled by Maison Champy in Beaune. Cellared privately in France until now. Former journalist and GMTV presenter, Tina Baker, is probably best known for her appearance of ITV1’s “Celebrity Fit Club” where she was voted by the panel of judges as the most outstanding contestant on the show due to her commitment and constant weight loss. 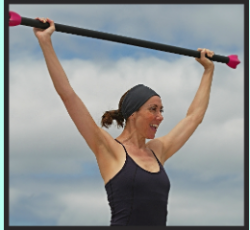 She is now a fully qualified and insured REPS LEVEL 3 NLP fitness coach - helping you to change your mind so you can change your body. 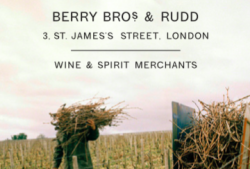 A late afternoon weekday tour for four people at the Cellars of Berry Bros & Rudd at 3 St James’s Street, London, SW1A 1EG followed by a glass or two of Champagne. This excludes weekends or any day in December. 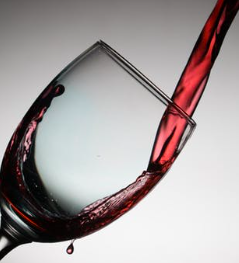 Enjoy an introduction to wine with wine tasting for 10 - 12 people. Preferably at the Banbury Branch of Majestic but can be negotiated. 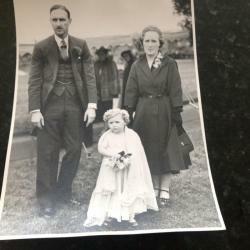 Are you curious about your ancestry? 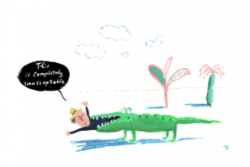 Do you want to discover more about a particular relative? This auction lot offers 10 hours of support in defining a realistic brief, introducing you to key sources and starting your search using free and paid for resources..
Hope to trace at least one UK family branch to the beginning of civil registration. There may be easily accessed parish records going back further. Prepare to face some brick walls, plenty of emotion and perhaps some surprises along the way. Expect to become addicted to your own story for many years to come! NB Work on adoption is outside the scope of this project, which does not include use of specialist intermediate agencies. 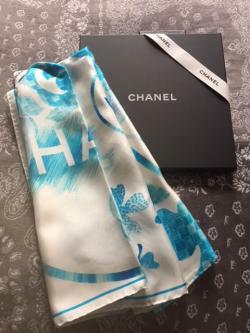 A beautiful Chanel Scarf complete in its box and gift tied. 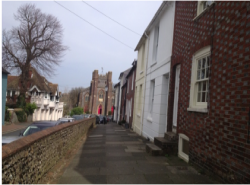 A 3 night stay in a terraced Victorian Cottage in the heart of Lewes close to the Norman castle. The cottage sleeps 6 people in three bedrooms - two double and one twin. Close to all the antique and bric a brac shops and antiquarian bookshops and only 15 minutes by train from Brighton. Lovely walking along the River Ouse or the South Downs straight from the house. This stay to be taken between 1st October 2018 - 31st March 2019 by arrangement with the owner. NB There is £100 charge to cover laundry, cleaning and services. These tickets are in the Foyer Circle Sides. They may have a partially restricted view. 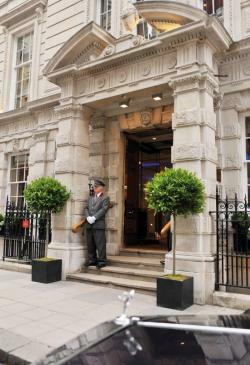 £100 gift voucher from The Duck & Rice, Soho, an eclectic pub with a world class Chinese kitchen. 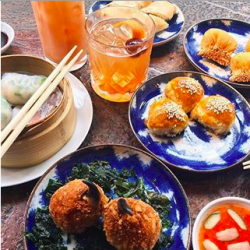 Set within the beating heart of Berwick Street market, The Duck + Rice serves game changing Dim Sum and eponymous dishes that attract connoisseurs from around the world. With our unique blend of tradition and modernism, comfort and extroversion, The Duck + Rice embodies the eclectic rhythm of Soho’s most iconic street. The Oxford Shakespeare Company is delighted to offer 4 tickets to its Critically Acclaimed production of Love’s Labour’s Lost. Directed by Nicholas Green. Composition by Nicholas Lloyd Webber. Wadham College Gardens, 2nd to 31st July The Gardens of Wadham College, Oxford. 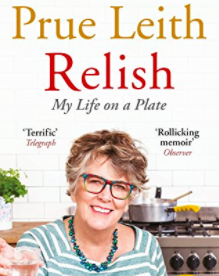 Signed copy of Relish - My Life on a Plate, by Prue Leith. Prue Leith describes herself as greedy in all senses of the word. 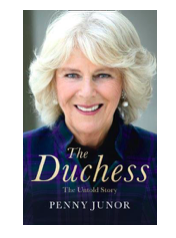 Cook, restaurateur, journalist, novelist, presenter, charity worker, wife and mother, she has certainly been greedy for life. Born in South Africa, Prue came to London in the early 1960s, set up a successful catering company, and later opened Leith's Restaurant, a food lovers' oasis. But it wasn't all work. She had an affair with the married man who was to be her husband. 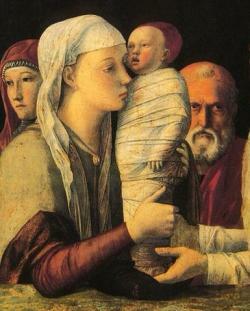 She writes movingly of her longing for children; the birth of her son, Daniel, and the adoption of her daughter, Li-Da. Above all, Relish reflects one lucky woman's incredible zest for life. Chambres d’Hôte stay in South West France. 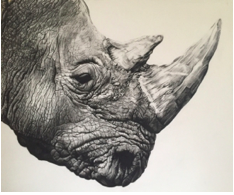 A framed print of her original charcoal drawing of a rhino. One week stay in Snishival at Howmore in South Uist, Outer Hebrides. This gorgeous house sleeps 6/7 in three double bedrooms (three bath rooms) and spacious open plan living area, with magnificent views west to the Atlantic and to the north and south to hills and lochs. Available 2018: 16 - 23 June, 30 June - 7 July or 15 September onwards. Any time in 2019. Booking by arrangement with the owners. 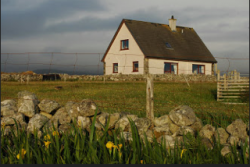 The house, Snishival at Howmore, is featured on http://www.lovetoescape.com - click on South Uist. 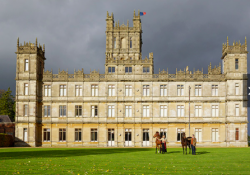 Lady Carnarvon has generously offered a private tour for 4 people with either tea or champagne and canapés depending on the mutually agreed day and time. To be taken by end November 2018. Carton "This is completely unacceptable". 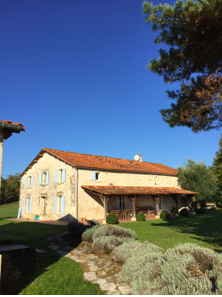 This lovely holiday house has 3 double bedrooms (twin beds) and 3 bathrooms and a lovely sitting room with french windows opening onto an outside sitting area. One of the bedrooms has a terrace. 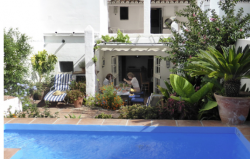 At the back there is a terraced garden filled with flowers and vines and a lemon tree and it also has a splash-pool. This house is situated in the old (and prettiest) part of the village where the little narrow streets were made to accommodate mules rather than cars. The housekeeper comes in every day to make beds and tidy up (except Sunday). Elizabeth lives and works in London and Scotland. Trained at the Ruskin School of Art, the Academy Schools. She has worked with Ann and Graham Arnold of the Ruralists. For Sculpture she attended The City and Guilds under Donald Sly – also being encouraged by Jonathan Kenworthy and Lorne McKean. In 2010 she went on a Sculpture working tour in Tanzania sculpting from real life with Mark Coreth. An invitation for four people to join Classic Winning Racehorse Trainer Ralph Beckett for a morning on the gallops at Kimpton Down Stables. 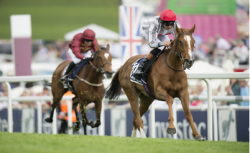 Watch his horses train, receive a tour of the stables, and have breakfast with the trainer. This is a rare opportunity for a flat racing enthusiast to see Ralph at work and meet some of the horses. 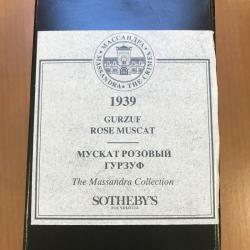 This pink sweet wine from the Crimea was auctioned by the Russian Government at Sotheby’s 20 years ago and is rarely seen on the open market. 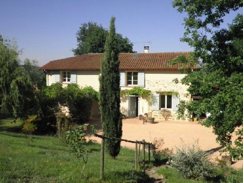 Les Essards is situated in the Charente, south of Angoulème on the edge of a village called Chavenat. The converted stone barn has 5 double bedrooms (four en suite) a huge salon with open fire plus central heating. There is a swimming pool in season. Dates which are by negotiation with the owners excludes July, August and September but could include Christmas or Easter. A Wine Lovers’ Dinner for 4 in Islington. 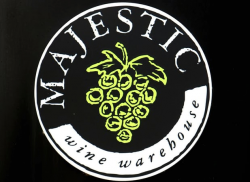 Master of wine Anthony Hanson will open wines from his cellar to match a seasonal menu cooked by Rosi Hanson, Decanter contributor and author of Recipes from the French Wine Harvest, for you and your guests to enjoy and discuss. 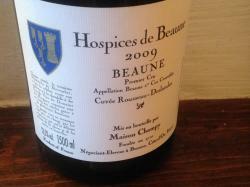 These will include Vintage Champagne, a pair of top white Burgundies with the first course, a pair of clarets (Ch. Montrose 1990 and Ch. Latour 2003) with the main course, Premier Cru and Grand Cru mature red Burgundies with cheese, Premier Cru Sauternes with dessert. An evening of bridge tuition in your own home for 8 people. 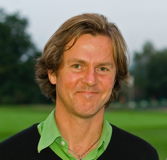 Simon is extremely well known in Bridge circles having started teaching at the age of 15. With Andrew Robson he started the renowned Andrew Robson Bridge Club and he now teaches bridge throughout the world. He also spearheads the Davenport Foundation, a charity, which promotes a global youth movement “Bridging the World”. Enjoy a 3 night stay at this beautiful house situated on the cliffs at Beer in Devon. This privately owned house overlooks the sea and has four bedrooms and four en-suite bathrooms. The picture postcard village of Beer nestles in the Lyme Bay on the 95 mile long Jurassic Coast, England's first natural World Heritage site and forms part of the South West Coastal Path. The shingle beech still boasts a small fleet of working fishing boats. Fresh fish can be bought daily from the beach fish shop and the village has several small restaurants and a couple of very interesting galleries. Date by arrangement with the owners.